In many workplaces, healthy food options are typically lacking. So, finding ways to increase your fruit intake may require a little creativity. Being creative with fruit is not only healthy, it can also be delicious! 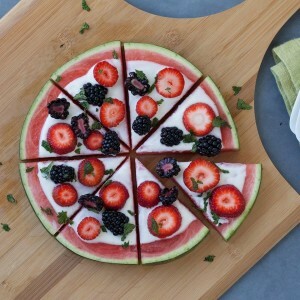 Check out this watermelon pizza recipe and consider bringing it to the next office event for a fun twist on a traditional dish!